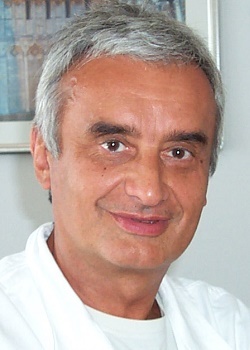 PierFranco Conte is Full Professor of Oncology at the University of Padova and Director of the Division of Medical Oncology 2 at the Istituto Oncologico Veneto in Padova. He specialized in Clinical Oncology, Clinical Immunology and Hematology. Throughout his career, Prof. Conte has been involved in the development of new regimens for the treatment of solid tumors, with special emphasis on breast and ovarian cancer. He was Principal Investigator of numerous research projects supported by the National Research Council (CNR), the Italian Association for Cancer Research (AIRC), the Ministry of Health and the Ministry of Education and Research. He has published more than 300 papers in peer-reviewed journals. The majority of these discuss the biological characterization of breast and ovarian cancer and clinical trials in these disorders. Prof Conte is the recipient of the 2007 Claude Jacquillat Award for Achievement in Clinical Oncology.